YHA Mei Ho House Youth Hostel was awarded ‘2014 Dual Gold Award for National Classic Habitation on Planning and Architectural Design’* by the Architectural Society of China, in recognition of the outstanding performance of the architect, AD+RG’s, on revitalizing the first generation of Hong Kong public housing block. Mei Ho House is characterized by two identical wings being linked up by a cross piece (central block) forming an H-shaped structure. Combining modern technology and design concept, AD+RG has successfully preserved the overall architecture in-situ. Thanks to the significant social value of the building, the revitalization project has perpetuated citizen’s affection to the community and also kept the collective memory of one generation. 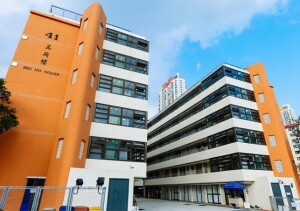 YHA Mei Ho House Youth Hostel promotes cultural exchange and heritage inheritance which in line with the guiding principle of Hong Kong Youth Hostels Association (HKYHA). The award is an honor for HKYHA and it fuels the association’s determination to promote hostelling culture by providing friendly, comfortable and safe accommodation services to travelers. 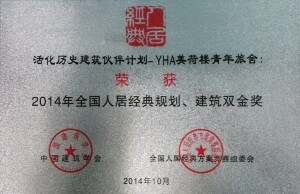 *”National Classic Habitation Award” is organized by the Architectural Society of China. In order to improve the overall architectural planning and design level in China, the award celebrate excellence in architectural project which reflecting contemporary technique and trends. Since 2001, the award is considered as one of the most prestigious and popular prize in the architecture industry.